As I mentioned at the end of my post Why You Should Spend Hours Walking Around A City, I will be writing about why bus tours are an extremely efficient way to see a city. On my first day in Europe (I was in London), I went on a bus tour. I was incredibly excited to be in Europe as I had wanted to go for many years, but I truly had no idea what to expect. The bus tour allowed me to see various parts of London and get a great first experience in Europe. If anyone does not know how a bus tour works, here is a brief overview. The bus tour has a route throughout a city with several stops (in the case of London, there were over 30 stops). You buy a bus tour pass for a certain date, and then you hop on at a convenient stop. As you travel to the next stop, there are guides on the bus tour informing passengers of interesting facts about what they are passing. When the bus stops at the next stop, you can get off if you want to check out things around that stop. You do NOT have to get off. You simply get off when there is something you want to see, and catch another bus at the same stop when you are ready to get back on and move to a new location. There are several buses running at a time, so the wait for a bus once you are back at a stop is never too long. So what is so great about a bus tour? You can see what you want and absolutely do not have to see the things you are not interested in. On my bus tour, I had a few attractions in mind that I wanted to walk around and see. Until the first attraction, I was happy listening to the bus tour guide talk about what we were passing in London. This included several interesting things I never would have seen otherwise, such as an old guillotine or a building used in the Harry Potter films. Then, when the bus reached a location I wanted to walk around, I got off and was seeing the location on my own terms. I saw everything I wanted to (which took about an hour), went back to the bus stop, and within minutes I was back on the bus and heading towards other areas of London. This is how my day unfolded: learning from the tour guide, getting off the bus to see things I wanted to see, getting back on the bus, repeat. 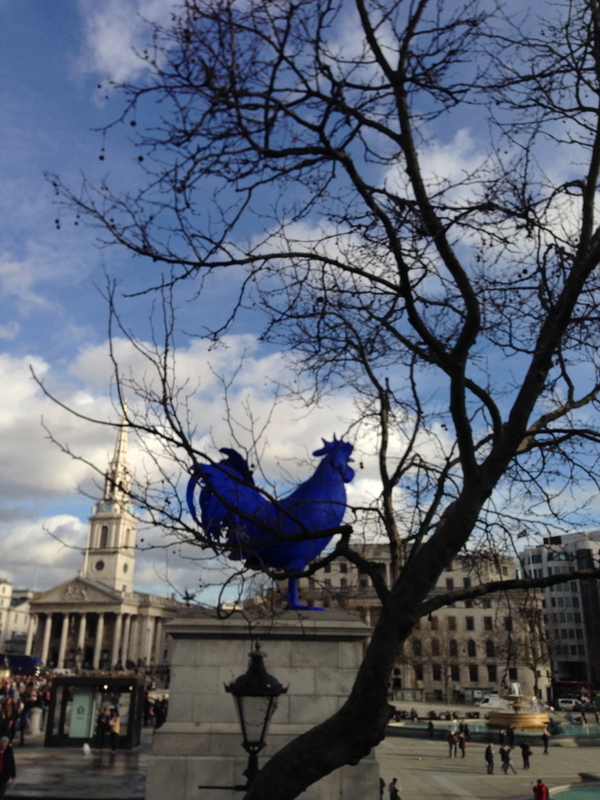 Highlights of my bus tour included seeing some fascinating art from the bus (see the blue hen below) and spectacular views of the Thames River (again, see below). I could go on and on about bus tours and why they are both a fun and efficient way to see a city, but the bottom line is this: you will learn things you would not have learned, see things you would not have seen, and see the things you wanted to see. Especially if you only have a day or two to see many things in a city, a bus tour is something I highly recommend you consider. 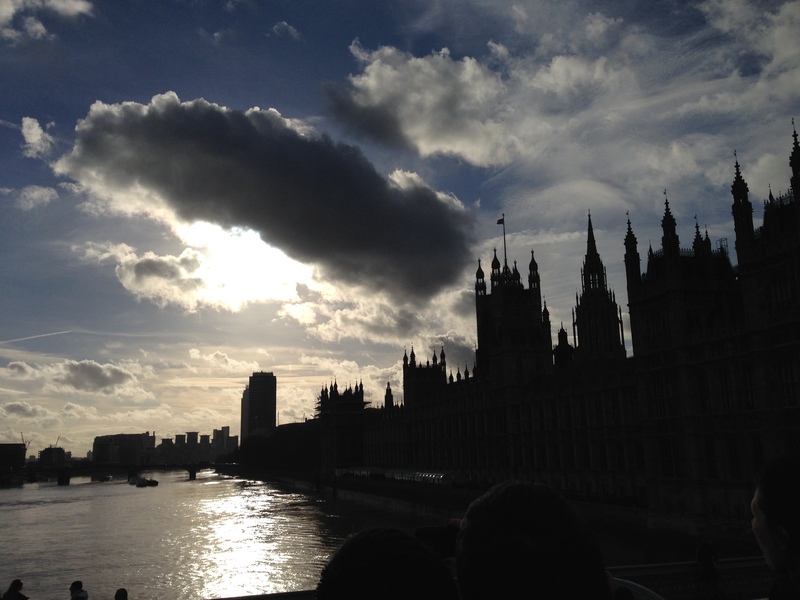 Totally agree with you about bus tours and London is indeed a beautiful city! I agree with the idea that bus tours are an efficient way to see a city when you first arrive but foot transportation will always be my favorite. My wife and I visited London last year and walked 75 miles in six days. We also found the tube to be a great way to get from place to place when the distance was a bit too far to walk. Love London! bryanknutson I agree that walking is my favorite, I wrote about it a few weeks ago if you want to check it out!